Autism is an issue faced by many parents worldwide. And it’s not a simple issue that can easily be solved because most often, it requires a lot of patience and understanding and the process of improvement on the part of the child can take some time. In the video gaming world, a new game has been developed that lets people into the world of children with autism. Called Auti-Sim, the game was created by a team from the Vancouver Hacking Health hackathon whose goal is to increase awareness on this hypersensitivity disorder and help people understand that this issue can result in a child’s isolation. According to one of the game’s programmers, Taylan Kay, the concept of Auti-Sim was inspired by a documentary entitled Inside Autism. One excerpt there, he said, simulated the behavior of a person with autism as he goes through the major department store chain Walmart. Kay further explained that seeing the video clip made a great impact on him particularly in terms of coping with the behavior and how people with this issue could be misunderstood and mislabeled. 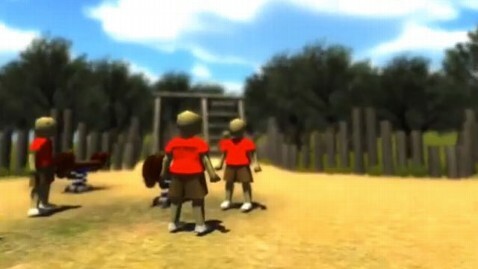 The initial demo of Auti-Sim elicited positive feedback with people suffering from this problem thanking the developers for sharing their real world with gamers. On the other hand, there were others who felt the game does not fully represent their experience with autism. Auti-Sim is now in the process of being expanded to become a full game. The developers are considering adding more interactivity and environments as they continue to work with therapists as well as professionals in education and those advocating the autism campaign.